Bemidji State University has a variety of public and department labs available for student use. With over 100 machines distributed over 4 floors, the primary and largest lab on campus is the A.C. Clark public lab located in the A.C. Clark library. Need to do some late-night work? The Beaver Lounge, located in Decker 108, is BSU’s first 24/7 computer lounge. Students use their key cards to access. 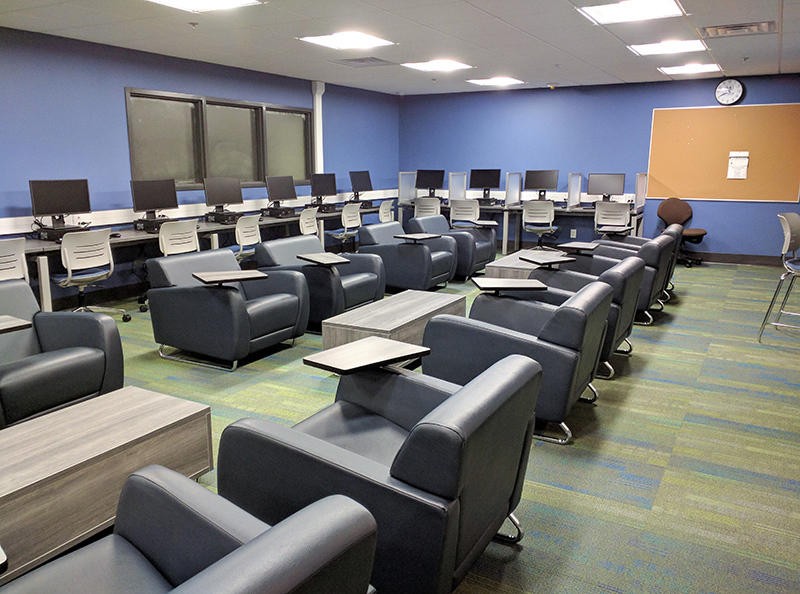 Features include comfortable study chairs, private group study rooms, personal device charging stations, color printing, and more! 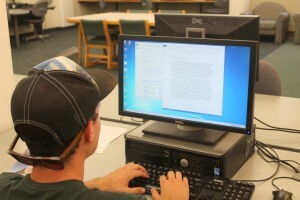 Computers located in the library and the Beaver Lounge have BSU’s complete software library installed on them. You should be able to find the application you need to complete any assignment. Looking to scan a book? The library has a book scanner available for student use. Printers and copiers are located in the library too. If you have any questions or something is just not working the way it should, stop by the Service Desk for assistance. You will also find many specialty labs at BSU designed for your major. Please check with your instructor to see what labs you’ll be using. All users of labs are expected to adhere to BSU’s Lab and Acceptable Use policies. You can find those listed on our policies page. Hours: Call 3777 (Information Technology Services) for scheduling.